The edgeNEXUS Pre-Authentication module can prevent unauthenticated and untrusted traffic accessing your internal resources and services. The edgeNEXUS Load Balancer resides in a privileged location on the network between clients and applications. This enables the load balancer to restrict clients’ access to applications and act as a secure doorway and a central point of administration to prevent unauthenticated and untrusted traffic. 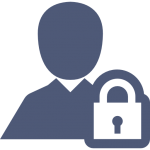 The edgeNEXUS Pre-Authentication module helps to protect internal resource, particularly from external clients. The edgeNEXUS Load Balancer offers powerful yet flexible authentication security options and is quick to implement and simple to configure without sacrificing functionality. Users can be challenged either by a basic 401 form or by a edgeNEXUS HTML authentication page. It’s even possible to design and upload a custom authentication page. The logins, successful or otherwise, are logged to the w3c audit log for future review. Users can be selectively challenged using powerful edgeNEXUS flightPATH traffic management rules. This means you can choose to challenge all users or be more specific and choose a certain IP range, country, URL or domain etc. flightPATH gives you a comprehensive toolkit for creating challenge criteria. edgeNEXUS can also provide authentication to the backend servers using NTLM or Basic. Single Sign-On (SSO) helps improve user experience by challenging a user only once for access to multiple back-end services. The Single Sign-On functionality makes edgeNEXUS Load Balancer a reliable replacement to the discontinued Microsoft ForeFront TMG (Threat Management Gateway) solution. As a Microsoft Gold Partner, it’s never been so easy to quickly replace ageing TMG infrastructure. edgeNEXUS also offers jetPACK configuration templates for fast and simple implementation of application delivery features for popular Microsoft products such as Exchange, RDP and Lync, all of which will benefit from the Pre-Authentication and Single Sign-On module. With its Single Sign-On functionality, the edgeNEXUS Load Balancer can be used as a reliable replacement to the discontinued Microsoft ForeFront TMG (Threat Management Gateway) solution.